Swaminathan has been appointed deputy director general of the World Health Organisation and will be the first Indian to hold such a high post. 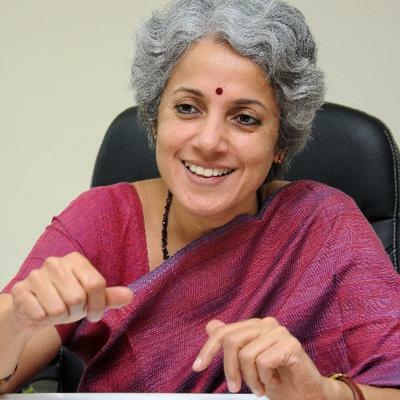 Dr Soumya Swaminathan, the current head of the Indian Council for Medical Research, will soon take over as as deputy director general of the World Health Organisation, the second highest position at the international public health body. 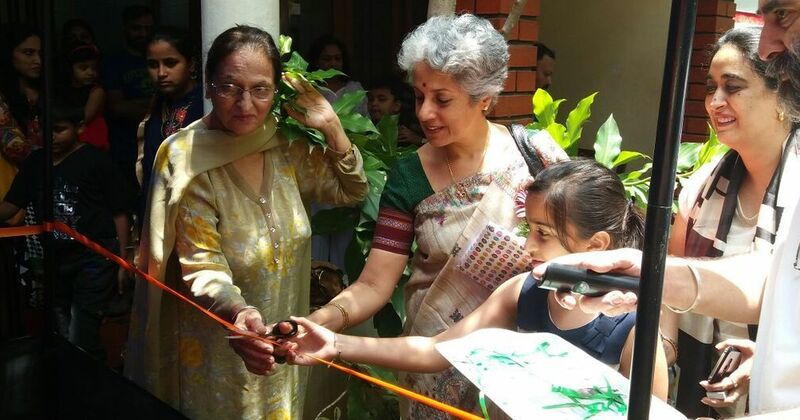 Swaminathan is a paediatrician and has nearly 30 years of clinical research experience. Much of her research has been on paediatric and adult tuberculosis exploring epidemiology and pathogenesis of the disease as well as the the role of nutrition and HIV infections. Swaminathan’s appointment to the WHO comes only months after Dr Tedros Adhanom Ghebreyesus, a former health minister of Ethiopia, took over as director general – move that public health watchers have cheered as one that will push the health interests of developing countries forward. 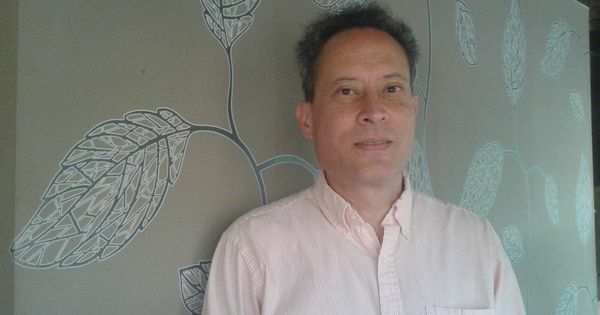 Shortly after the announcement of her appointment, Swaminathan spoke to Scroll.in about a new direction for the WHO, providing universal health coverage, improving access to medicines and dealing with pandemics. Here are edited extracts of the interview. Dr Tedros Adhanom Ghebreyesus, the director general of WHO, is from Ethiopia. You have worked extensively in India. Before this, most of the senior positions in the WHO were held by experts from developed countries. How do you think your experience in a developing country can help you prepare for this new role? I think the main difference is that I have seen the health system at very close quarters in India. Having worked on a disease like tuberculosis, which is a disease of poverty, I have closely observed the health systems and the social determinants of the disease, both of which are equally important. We will go with a more pragmatic and practical approach. Could you give me an example on how your approach could be different? A lot of work at the WHO is normative, which involves setting standards and guidelines for countries to follow. Our approach will be different from a experts who only have theoretical knowledge about certain subjects. There is no point in making guidelines which will not work. Knowing how health systems work in developing countries will help make guidelines that could be followed. We are seeing new pandemic health threats in recent years - from Ebola to Zika to a new malaria strain discovered recently in Cambodia. How might the WHO prepare countries and international health networks to contain and combat these? In such situations, the WHO will need to convene countries. We need to improve the provision of emergency care. How to introduce a new drug or vaccine and how to get everyone together on it is key to this process. We need to get everyone including industry to ethics committees together to help tackle a disease. In case of Ebola, by the time the approvals for the trials were sought, and the trials were completed for the vaccine, the outbreak was on the wane. We need to be prepared to immediately act on such outbreaks and have a research and development plan backed up. We will look at forming global consortiums in developing treatment programmes for diseases such as the Global Antibiotic Research and Development Partnership. These are the programmes I would be interested in. I want the WHO to bring in more research and evidence. So far, the WHO has been providing support for research. I feel there will be an advantage if WHO can conduct the research itself. Dr Ghebreyesus has said that the focus of WHO will be on universal health coverage. What will be the challenges to try realise this goal? The challenge will be reach everyone with quality care that is both preventive and curative with health systems strengthening including infrastructure, human resources, and financing. The reason that poor countries find universal health coverage difficult is that they either do not have the finances or human resources. How to address that will be a very challenging thing to do. But some countries have been able to do it. In our own region, Thailand has done it. This vision is achievable but not easy. Globally one has to come together on this issue. The poor do not have access to so many medicines. How do we improve access to medicines? That is a tough one. This issue involves commercial interests as well as intellectual property rights. It is not purely in the realm of health ministries and the WHO. It needs a lot of negotiation and international advocacy as well. There have been many successful programmes that have helped improve access to medicines like, for instance, the Medicines Patent Pool. There are lots of diseases for which we need to develop medicines or improve access to medicines. This will be very challenging. Your research has by and large been in tuberculosis. How will the WHO work towards controlling the spread of TB? TB is a global priority and will continue to be a priority. India has a big role to play in the elimination goals. We need to increase access to drugs and improve private sector engagement more. In South East Asia particularly, engaging private sector is a big challenge. We now know non communicable diseases are not just a problem of the rich, but a more widespread problem. What are your plans on tackling non communicable diseases? Non communicable diseases need a multi-pronged, multi-sectoral approach. Air pollution is a major determinant of non communicable diseases. This problem can be handled less by the health ministry. We need to involve other ministries more, such as the environment ministry. To handle the excess fat, sugar and salt in foods, we need to work on food labelling and increase food taxes. This will need involving finance ministries and other sectors. Preventive health care will be another major challenge.